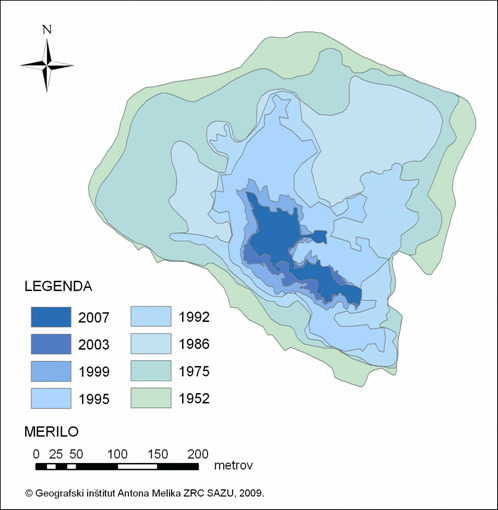 The contraction of the Triglav glacier has escaleted during the 1990’s. The increasingly rapid thinning of the ice sheet caused individual rock formations to appear in the middle of the glacier, finally cutting it into two completely separate parts in 1992. Shrinking and disintegration of the Triglav glacier has been continuing; the process has only been brought to a standstill during years with above-average snow cover in the late spring.